It’s fair to say that Kath Hamilton is – and always has been – a beacon for the Exeter community. She has spent her entire life there, apart from moving to Westbury for two years when she was first married. After that brief time away, she and her husband moved back to Gravelly Beach and took up a big role in the local community. When she left school, Kath worked for a time at the Beaconsfield Council, providing services as a librarian, typist, secretary, cleaner, as a medical assistant for children’s immunisation … she was there for three years before leaving paid work to raise her three children. Since then, she never returned to paid work, but her tireless efforts as a volunteer for so many years earned her the West Tamar ‘Citizen of the Year’ award for 2018. Kath spent 11 years running the local Neighbourhood Watch service. As the area coordinator, she was responsible for 800 houses in the area. “I had to meet with each household once a year; that made over two per week,” she explained. “We also had regular public meetings, so I learned very quickly how to speak to a group! And then I was responsible for coordinating between the public and the police. 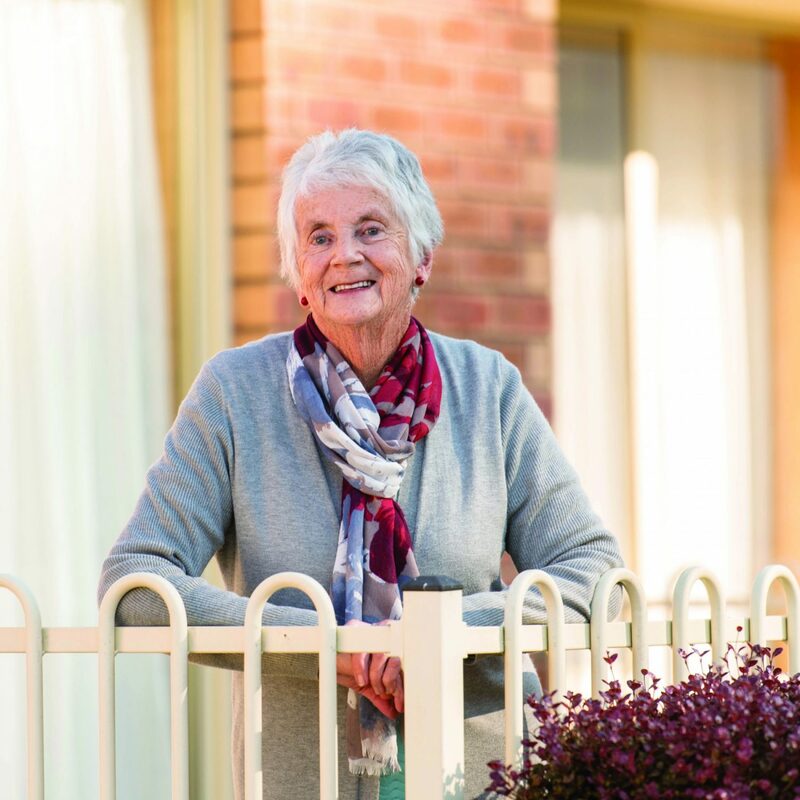 Kath and her husband moved into Tamar Valley Court about 13 years ago, when her husband was diagnosed with Alzheimer’s and looking after him and their big property became too much. He lived with her for two years before he had to go to a care unit, and passed away 10 years ago. Kath stayed very active during that period and really only decided she needed to “slow down” last year. So what does someone who was that active do with herself when she decided to “slow down” at Tamar Valley Court? “I was lost when I left the Beaconsfield home,” she recalls. “In the beginning I didn’t know what I was going to do with myself. I have always done something. But I do actually stay really involved in the village. I’m president of the social club here. It came about because it could be a bit quiet here in the village for some of the older residents, who spent such a lot of time sitting in their units. So we more-active ones decided that we could start something and see how it went, and the village management have really supported us. We go on outings; we have guest speakers and entertainers; Christmas events and social nights. It’s been really good for getting everyone out and about.